This is my 1st book that I finished reading in 2012. I bought it at a ultra ultra cheap price of RM14.90. Without the discount, I believe this book would cost like >RM50? In Malaysia, english books can be very expensive. I saw this book selling at Amazon around USD7++. Okey, so Rm15 bucks is dirt cheap. Don't be mistaken of its not so fancy book cover or low price. 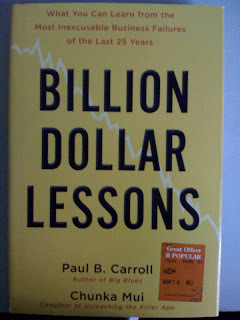 This is one of the book that I would recommend to read for those that like to read about business strategies. Our society has a successful bias that is we tend to highlight the glory and success story of an individual or even a company. There are tons of books explaining & analyzing in detail, why a certain company succeeds in its plan to dominate a certain market or doing a business revival/turnaround. 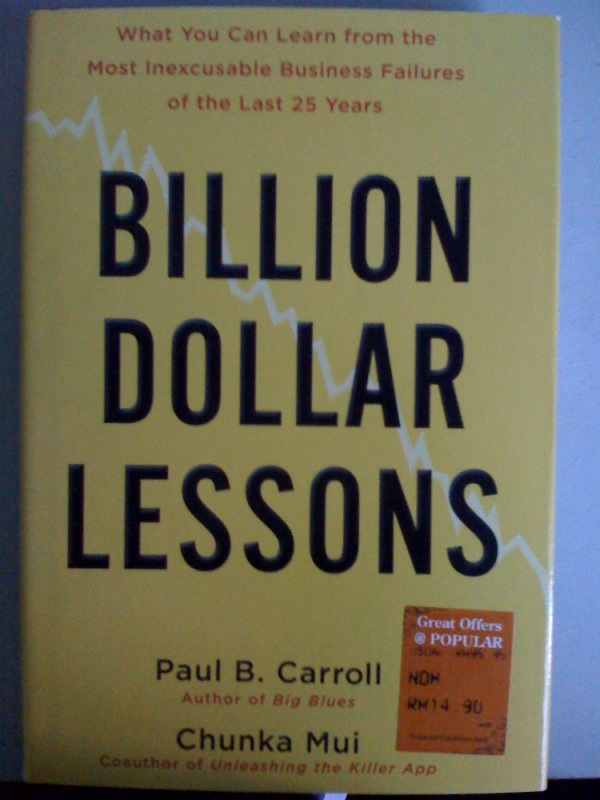 In Billion-Dollar Lessons, Paul Carroll and Chunka Mui draw on research into more than 750 business failures to reveal the misguided tactics that mire companies again and again. There are thousands of books about successful companies but virtually none about the lessons to be learned from those that crash and burn"
What I like about this book is it explains example from its huge historical company database, how some of the commonly known business strategies (things you might read in business degree) can go very very wrong in certain context and environment. The strategy that most common being employed by an organization is and some of the things that i learn that can go wrong from the book. 1.Synergy - It might not exist in the first place or it is being over-emphasize. The cost saving due to scale and synergy did not materialized. 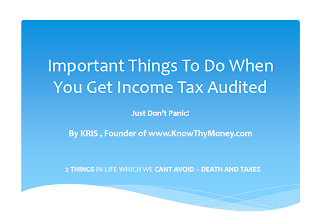 2.financial planning - Due diligence is very important to discover unwanted bad accounting when acquiring a business. 3.rollups - Very hard to consolidate various component of a large business organization when doing rollups. 4.Staying the course - At times, you need to cut loss rather going down the path of oblivion. 6.Riding technology - Technology can go obsolete very fast. Kodak was used as an example where the executive did a lot of campaign to promote paper film whereas they should be concentrating on digital photography. It details what are the thought process by the company executives that were still very confident about their strategy even though the market is moving fast against them. Another story is about Motorola whom burned like USD 5billion to developed an not practical and obsolete satellite phone system which cost alot of money just to make a few minutes of call. 7. Consolidation - Hard to incorporate smaller businesses into a larger organization with various work cultures and expectations. All in all, I give this book 4.5/5. Good read. I have not been reading any books of late as most of my reading materials comes online. Nonetheless, good job bro! What you need to do when reading a book? I guess most people does not understand every single thing in a book BUT if we can learn one single thing from that book, it is considered a huge success. From time to time, i still get warning from google chrome that your blog is transmitting malware. I thought you fixed it alreadY? Hi kampunginvestor, I shared Kris sentiment here.